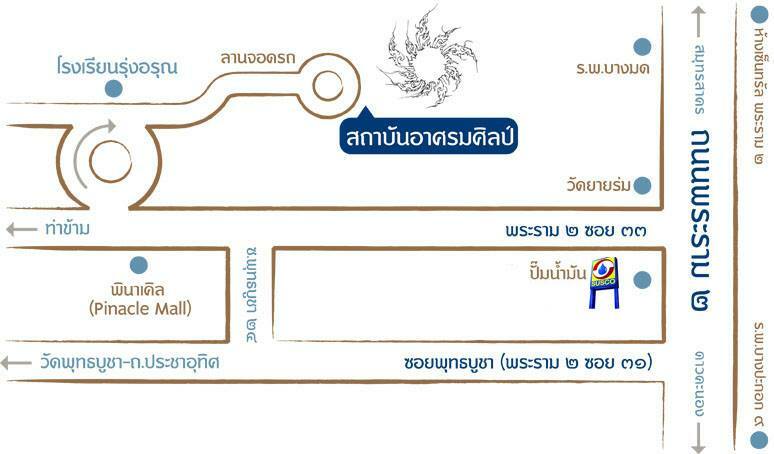 From Rama II Rd., turn to Rama II soi 33 ( soi Wat Yay Rom. ) At the entrance, you will see the Susco petrol station. Go straight and cross the small bridge in the array before noticing the Pinacle mall on your left hand side, the Institute will be on your right.